Fantastic lounge chair pair made by Bovenkamp, designed by IB Kofod Larsen. 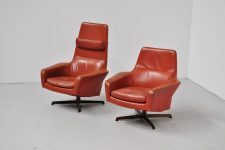 This is for a fantastic set of men and ladies chair. 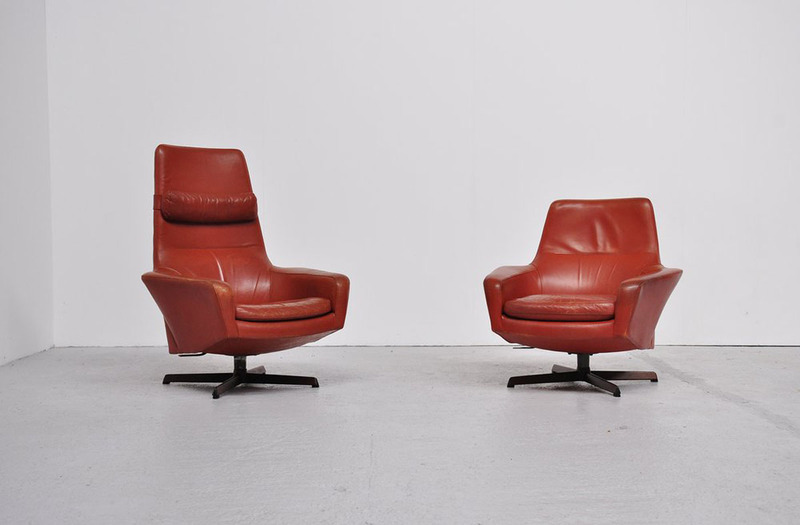 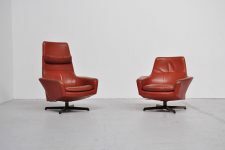 These swivel loungge chairs hava a fantastic shape, a foam covered shell finished in cognac leather and a metal, wood veneered foot makes this chair great to look at. 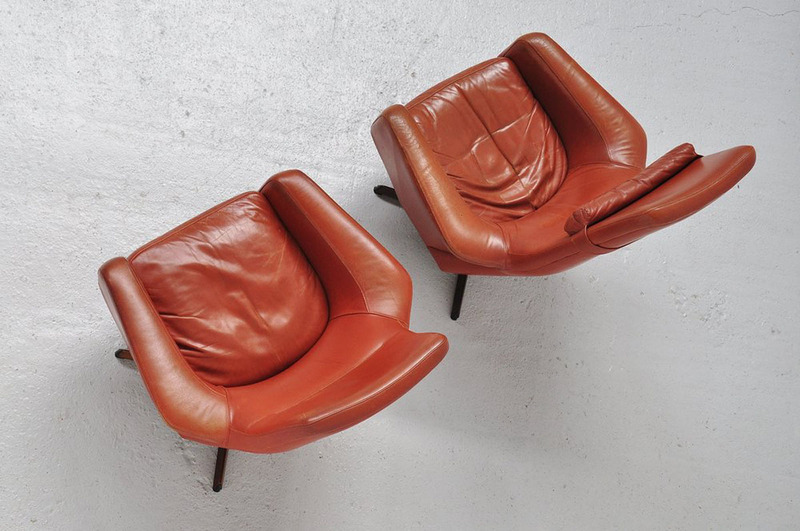 The leather has very nice patine that fits the age of the chair. 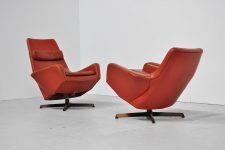 Beauty and comfort! Sold and priced per pair.